We have all heard the phrase “leadership is not position, it is action.” Not only do I agree with this, but I think the ability to make it happen is an important quality when considering how you want to lead on campus. What do I mean by make it happen? When given a task, you deliver results and no matter what hiccups happen along the way – you focus on being a flexible leader. In order to get things done, I have learned during my time at Rutgers that you can’t just want to accomplish something, but as a leader, you need to inspire your team to accomplish it as well. As both Producer of Cabaret Theatre and an RA on campus, there are many times that I have planned for something to go one way and it has gone the complete opposite way of how I planned. But the important thing is that whatever that event, conversation, or plan was – it still was executed effectively and it was executed with a team that was passionate about what we were doing. Think big picture: When you are trying to get something done that has hit some speed bumps, take a breath, take a step back and remember why you are doing this thing. Reflect on this why with your team and brainstorm how you can accomplish this still embodying your why even if it was not the way you originally planned. Don’t ask things you aren’t willing to do yourself: As a leader, your team is always watching how you act and react. They are also going to be much more willing to get that thing done when you need them to, if they understand that you are going to be there, helping and supporting them along the way. If the deadline is Friday and that set needs to painted until 3 am and you need someone to get it done, make sure that you are painting with your team not just telling them to do it. Allow others to lead: As someone who is extremely type A, I understand the desire to just go in and do things yourself, especially when things go not according to planned. However, it is important to stop yourself and allow others to lead as well. You wouldn’t have got to this position of leadership if you didn’t learn from your own mistakes, so encourage your team to embrace challenges. Often your team will come to your for advice on how to deal with this challenge, instead of doing it yourself, give them the skills to allow them to grow as a leader. Make a plan, and then make plan B: Don’t get me wrong, it is important to make a plan (trust me, if I didn’t like plans my google calendar won’t look like it was about to explode), but it is important to have backup plans too. You can’t predict what is going to happen at every instance but what you can do is when the original plan doesn’t work, look at why it didn’t work, and figure out how to make plan B even better. Everything we do is a learning opportunity and this includes when things don’t go according to your plan. You never know the impact you are making until you’ve made it: I have found that in my time as my time as an RA, that there is no mold for the perfect RA or leader, which was a hard realization for me. But, realizing it was one of the most transformative moments of my college career, because I then understood that my residents didn’t need the perfect RA – they needed me to be the best RA that I could be. And more than anything I learned that you can never know how important the impact you are making, especially when you least expect it. So many times I have had conversations with residents that turned into, “when you smiled at me it really helped” or, “that night you talked to me for an hour was exactly what I needed” or, “you are my role model for everything I see you doing.” These moments were ones I didn’t even think twice about. Being genuine about why you are doing something and the impact that makes is a beautiful form of leadership. Most importantly, if you work really hard, and love what you do, those around you will see it, and they will respect you that much more for it. That hard work and respect will get things done, but more than crossing things off your to do list, it will give you amazing friends, amazing skills, and an amazing college experience. 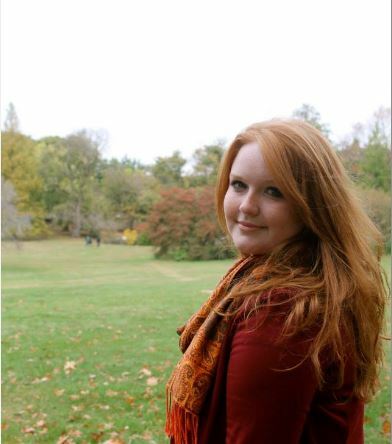 Meghan King is a senior double majoring in History and Women and Gender Studies and is also in the accelerated 5 year masters program for Social Studies Education (K-12) at the Graduate School of Education. Meghan serves as a Resident Assistant in Jameson Residence Hall, Producer of Cabaret Theatre, Intern at the Office of Leadership & Training, a member of the National Residence Hall Honorary, and a member of the Douglass Residential College Senior Class Council. This Post was tagged Gender studies, leadership, leadershiptips, makeithappen, National Residence Hall Honorary, residencelife, Resident assistant, reslife, rutgers, rutgersuniversity, studentleadership. Bookmark the permalink.